caravan batteries for winter storage checks? Caravan Batteries-time to check and test them before the new Spring season arrives. been a poor year for car batteries, because of the very mild winter. I suppose though that we battery dealers should not really complain. As we have had a decent run of very cold winters. Hence, we should have known that we were due to have a mild one. So, and we certainly did. In fact, it is the first year that I can ever remember in my 65 years. Where we did not have any snowfall whatsoever. We have now written last winter off as a bad year.Especially, for car batteries sales. Thus, we are already looking forward the leisure and caravan batteries season. Which has already started with a bang, (what you lose on the swings you gain on the roundabout) as the saying goes. Britain is now largest touring caravan market in Europe. We took over from the then number one country Germany in 2003. Of course, we were still number one in 2006 when the latest figures were released by… http://www.politics.co.uk/ .It is estimated that there are over half a million touring caravans in the UK. Including another 330,000 static caravan holiday homes. I am going to write about the growing number of motor-homes in another article. Over the years, many caravan owners have asked me the same question? Is there a difference between caravan batteries and car batteries? And the answer is YES. In the early days, car batteries were used to power the minimal electrics that caravans would use. There were no TVs, Fridges and all the other modern day electrics that you can see in today’s modern caravans, just a few light bulbs and an electric pump. The normal car or truck battery would have done the job perfectly. 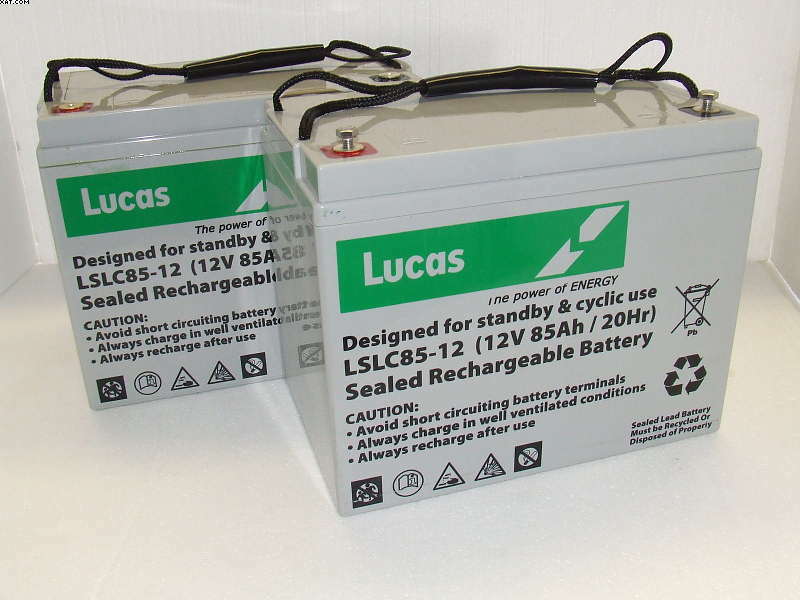 Now we have seen the development of the new type of leisure batteries. The most popular one that we are now selling is, in fact, a 100 amp battery that is made and developed by the largest battery maker in the World Johnson Controls. They decided that the design of the car battery was fine, but it needed to hold more storage than starter power. This was done by using thicker plates that were able to store more power to supply the caravan with the electricity that it needed for the evenings. LV24MF caravan batteries are a good buy. charged by the car’s electric system on a route, or as now with the use of solar panels, on a sunny day. You can upgrade to an AGM battery system, which will work better with solar panels, because of the better charge and discharge rate, but for the average caravan trip the LV26 will be perfect for the job, these caravan batteries have now been tried and tested over the years and generally do a good job and will give the caravan owner good service for about four or five years. To aid in prolonging the life of your caravan batteries, I would invest in a 12v smart battery charger, and connect it to your battery over the winter period, when your caravan is not in use, we recommend the chargers that are made by Ring Automotive and are available online. I hope that this article is of use to you and happy caravan trips. Hi, I would like to introduce myself. I have worked in the Garage and tyre and Cheap Caravan Battery business now for 40 years. https://www.pellonautocentre.com/wp-content/uploads/2018/01/zzzzzz-class-C-motor-home.jpg 312 484 Eric https://www.pellonautocentre.com/wp-content/uploads/2015/06/Logo_PellonCleanTrans.png Eric2018-02-09 05:59:032018-12-31 12:46:32Caravan Batteries-time to check and test them before the new Spring season arrives.